These products are not available until January 3, 2019. Just a sneak peek of products we received at onStage and my Premier Product Orders. My #simplestamping. Can you see how the small butterfly's wings are fluttering? Cut (1) 4-1/4" x 11" Crumb Cake cs, score at 5-1/2". Corner round punch or circle die to round the corners on the bottom. Using the Chalk Marker pen, create dashing lines around the card. 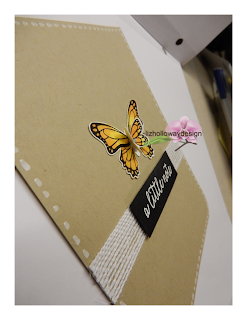 Stamp Butterfly on Remnants of Watercolor Paper. Color the butterflies with Pineapple Punch and Grapefruit Grove Ink. Punch out the butterflies using the Butterfly Duet Punch. 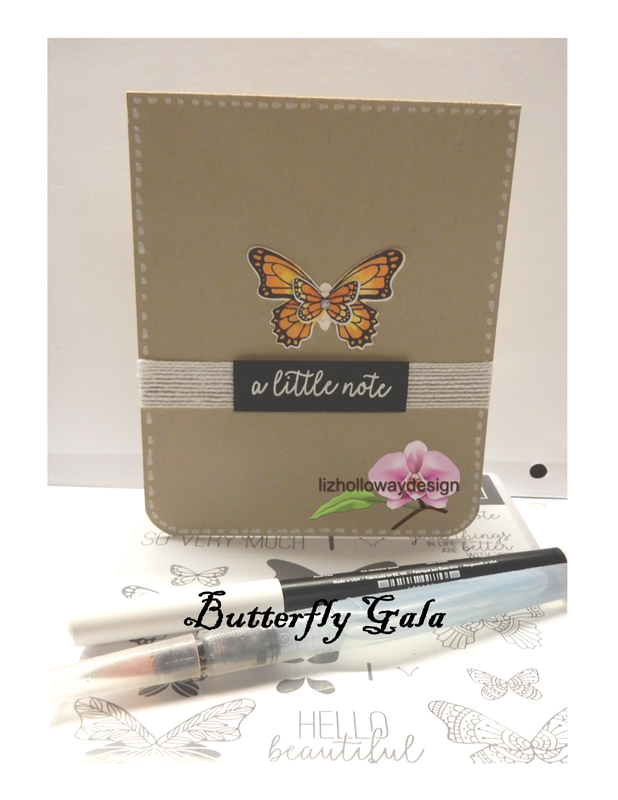 Add a mini dimensional to the back of the small butterfly and adhere to the larger butterfly. Cut (1) Flax Ribbon at 4-1/2". Add tear & tape at the back of the ribbon, and adhere to the base card. Stamp "a little note" with White Craft ink onto remnant basic black. Sprinkle White Embossing Powder, and heat set the white powder. Trim the black cs to 1/2" x 2" and adhere the back with dimensionals. I am a proud Canadian, come join my team!